Gold is a soft metal, so an abrasion or even a small contact between different jewellery pieces may damage its surface. Experts say, wrap each piece separately to avoid such an issue. Let’s face it, everybody’s jewellery needs a cleaning session occasionally. If you take a look at your collection, you’ll apparently notice your beloved jewellery getting tarnished or just becoming plain grimy. All your jewellery requires some care and close attention if you want it sparkling at its best. If you’re not sure where to begin, we’re here to help with our top tips about cleaning and caring for your gold, silver and gemstone jewellery. How to Keep my 22ct Gold Jewellery in the Perfect Shape? 1. Don’t wear your 22ct gold jewellery while cleaning or bathing. There are certain chemicals in soaps and in other cleaning agents, which can dull your gold after some time. 2. 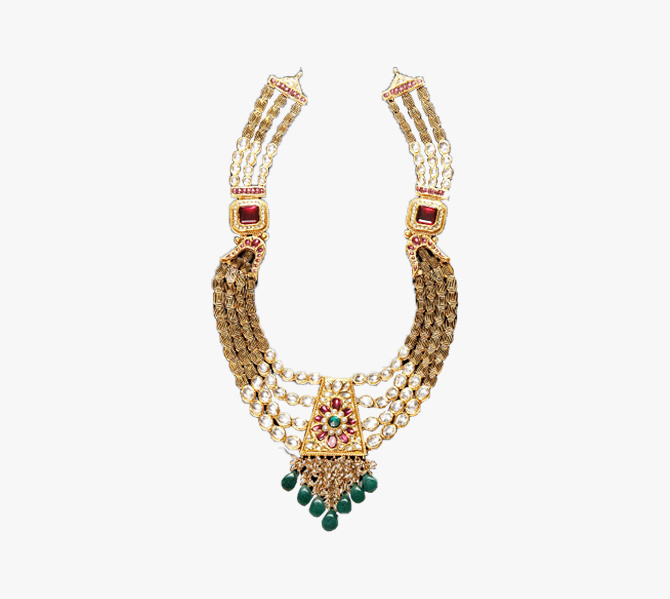 Store it separately: Contract or abrasion between different gold jewellery pieces can damage the gold easily. Wrap each piece of jewellery separately in a soft piece of cloth and try hanging up the gold chains on hooks. 3. It needs occasional buffing: Though the jewellery may not need cleaning yet rubbing your jewellery once in a while with a soft chamois cloth can restore the shine of the piece instantly. 1. To begin with, mix mild dishwashing detergent with water and then soak your jewellery. If the piece has stones studded in it, then avoid soaking. Rather, use a soft cotton cloth, dip it in a cleaning mixture and carefully wipe down the jewellery. 2. Rub the pieces either with your hands or with a soft cotton swab one at a time. You can also make use of a kid’s soft toothbrush for heavily decorative jewellery pieces with many crevices. Make sure to use the brush very gently. 3. Rinse the items with warm water to remove all the suds and dry it with a soft cotton cloth or leave it out overnight to air-dry. Ram Prakash Jewelers has been family owned and operated in the UK. Our experienced and knowledgeable team of professionals specialise in making our customers happy. Choose the classic engagement ring or wedding band, or partner with our master jeweller to design the most exquisite jewellery piece.